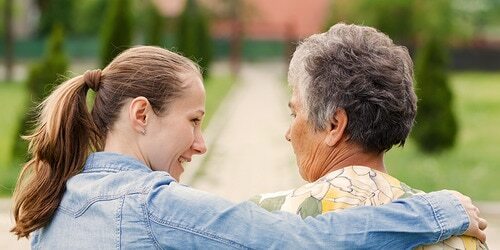 How to care for aging parents: tips to help you get started. When you become a caregiver, your world changes. Your new situation and the challenges you face are unique. Right now, there are important questions to consider. By answering them, you’ll help to prepare yourself for the road ahead, and be ready to overcome those challenges. Do you fully understand your loved one’s medical condition and its symptoms? Suggested action: If you’re unclear about her/his condition, talk to their doctor. Ask the doctor about the diagnosis, the state of health of the person you care for, and what to expect. Review different types of care with the doctor, and choose the best one. Do you know where all their important documents and passwords are kept? Suggested action: Collect all important files and documents you think you’ll need. That includes bank accounts, retirement accounts, safe deposit boxes, investments, wills, and trusts, and any relevant PINs or passwords. Keep all of them in one safe place. Do your family and friends know about your caregiving situation? Suggested action: Talk to them about your caregiving work. Tell them about your loved one’s condition. Discuss the challenges you face. 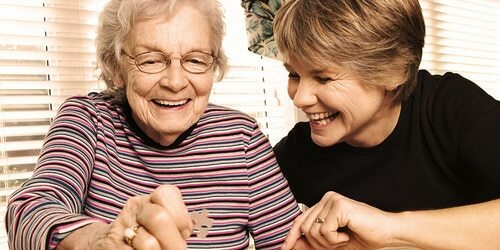 Who can help you with caregiving tasks? Suggested action: Make a list of all the tasks you need help with. Ask family members and friends for help. Work out a plan with them, and share responsibilities. Look into local caregiver resources that could support you. Has the one you care for been diagnosed with a health condition that might require additional, specialized care? Suggested action: Gather more information from doctors. Search for local hospitals and clinics that provide specialized care related to the diagnosis. What kind of health insurance does she/he have? Suggested action: Find out if they’re covered and, if they are, what their plan includes. Also, track down their policy documentation and ID card. Review her/his medical cover. Learn about long-term care insurance. If they aren’t covered, find out what medical insurance they’re eligible for in their region. Has your loved one given you or someone else “power of attorney” (i.e. the right to look after their finances)? Suggested action: Locate your loved one’s documents. Learn about power of attorney. If you’re unsure of what to do, discuss the different options with your loved one. Is she or he safe if left alone at home? Suggested action: Talk with your loved one about how they’d like to improve their safety and comfort at home. Check to see how safe their/your home is. Work out what changes are needed for the home to be 100% safe and comfortable and, discuss them. What are her/his wishes and preferences? 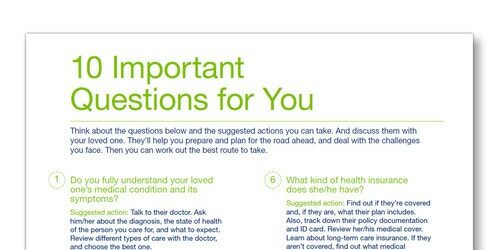 Suggested action: If possible, ask your loved one what kind of care they’d like to receive. Discuss how the two of you can work together. Talk about how you’ll deliver what they want. What will you do to take care of yourself? Suggested action: Decide how you’ll find time and energy for yourself. Take care of your own health as well as your loved one’s. Eat well, get enough sleep, and exercise if you’d like, or feel the need, to. Focus on, and try to control, your stress level. Like to remember all of the above? Download TENAs handy checklist for new caregivers (PDF). Download TENAs "New to Caregiving" checklist. A simple guide to plan your caregiving tasks. How to effectively plan shopping for your loved one? Inspiration for activities to do with your loved one.